GAP Insurance, aka Guaranteed Asset Protection Insurance, is insurance that covers the difference between the cash value of a vehicle and the balance still owed on the vehicle — whether it be a loan or a lease. Learn more about GAP insurance to arm yourself with knowledge for your next vehicle purchase in West Islip or Lindenhurst. GAP insurance protects your investment of the vehicle you are purchasing, so if the unthinkable happens — such as theft or a major accident — you are covered. Since depreciation on your vehicle occurs the second you leave the dealer’s lot, and standard auto insurance only covers what a car is worth at the time of an incident. GAP insurance effectively provides coverage for that space in between, so if you owe more on your vehicle than its deemed value at the time of the accident, you don’t have to worry. How Do I Get GAP Insurance? You can get GAP insurance from your regular auto insurer for as little as $20 per year, purchase it as a one-time fee from your dealership or lender, or get it from a company that specializes only in GAP insurance as a one-time fee. 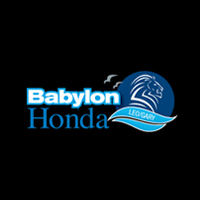 Contact us to learn about Honda financial GAP insurance and other financing options in the Bay Shore area. 0 comment(s) so far on What Is GAP Insurance?